Ministry of Tourism has announced the decision to terminate the agreement to develop a city hotel at the Hankede Island of Addu City. The city hotel project was originally awarded to a private company from Fuvahmulah City, Thoondu Private Limited in 2006. Thoondu was later fined over failure to start the project, and it was awarded to another private company, Half Degree in 2008. Half Degree, too, failed to start the project, and all rights of the project were transferred to Dollarton Private Limited in 2011. Ministry of Tourism issued a press statement this Thursday, expressed concern over the lack of progress of the project, and lack of benefit to the locals in the region. The ministry said it does not believe the lack of progress in the project can be excused as circumstances beyond the control of the developer, and announced it has served seven-day termination notice to Dollarton for breach of contract. During a visit to Addu City in early January, Minister of Tourism, Ali Waheed announced his ministry will make a decision of the project by end of January. 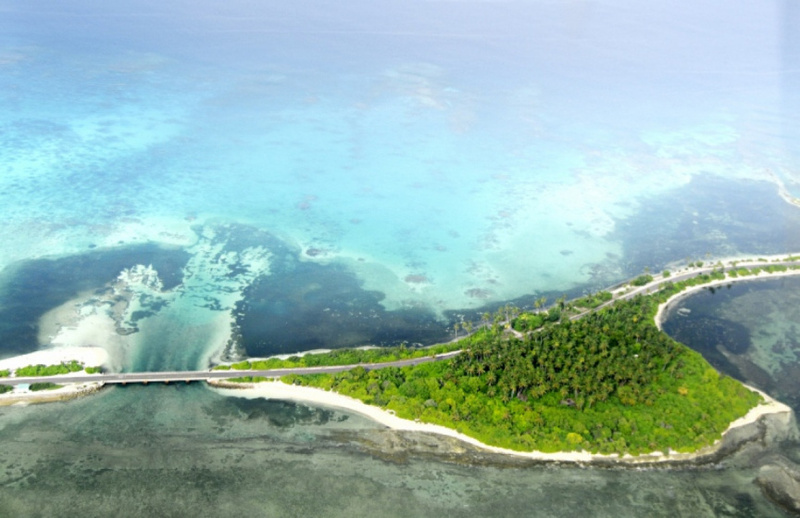 Hankede is one of the uninhabited islands which lay between Maradhoo Island and Hithadhoo Island of Addu City.